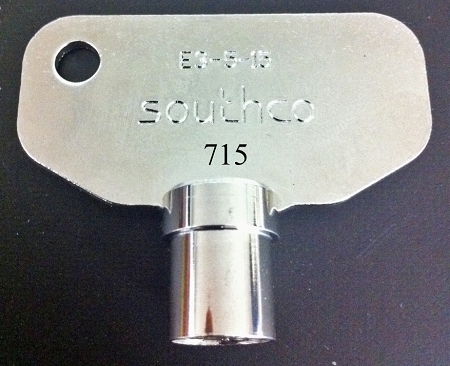 Look inside the tube to see your key number or look for E3-5-15 or E3-26-715-15 stamped on head. 4 Grooves cut into tube. This key comes with two different heads and we can not choose which one is in stock. 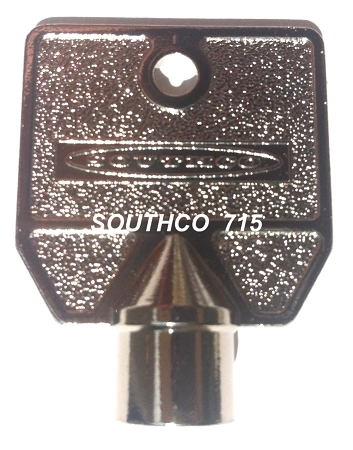 This key is used on many RV's to lock the engine compartment and on Farm / Construction Equipment.